A beautiful white unicorn with silver wings and hooves. 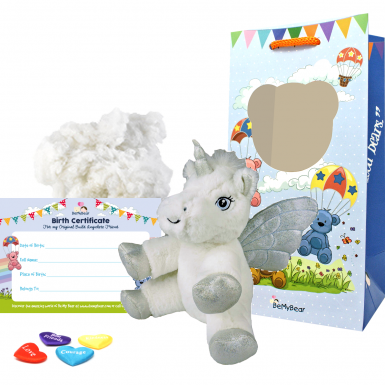 This kit contains Ice Unicorn 8" mythical skin, super-soft stuffing, heart charm, birth certificate, party invitation and deluxe carry bag. 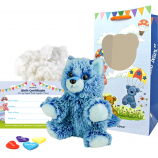 Our Ice Unicorn is soft and cuddly with beautiful white fur and silver wings and hooves. 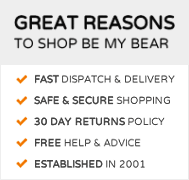 Ice Unicorn is a member of the eight inch range of build anywhere bears from Be My Bear. Ice Unicorn originally comes from a magical forest near to the North Pole and it is believed that its magical powers come from left over Christmas energy swirling around the area! Ice Unicorn loves to make snow sculptures and go ice skating on the frozen arctic lakes hidden deep within the forest. Ice Unicorn's favourite food is ice-cream with strawberry sauce. 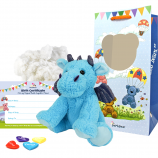 Ice Unicorn is suitable for children aged three and over and is an ideal birthday gift or great for teddy bear making birthday parties. 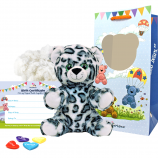 As with all of Be My Bear's teddy bear and stuffed animal making kits you will receive your Ice Unicorn skin with one-way zipper, a bag of soft and fluffy stuffing, our satin make-a-wish heart charm to bring Ice Unicorn to life, a birth certificate, party invitations and instructions. 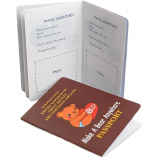 To complete the package we also include a luxury gift bag so Ice Unicorn can be carried around in style.